I felt like choking because there's too many things to do for the months of January and February. I needed to get away for just one day to breath and regroup my senses. 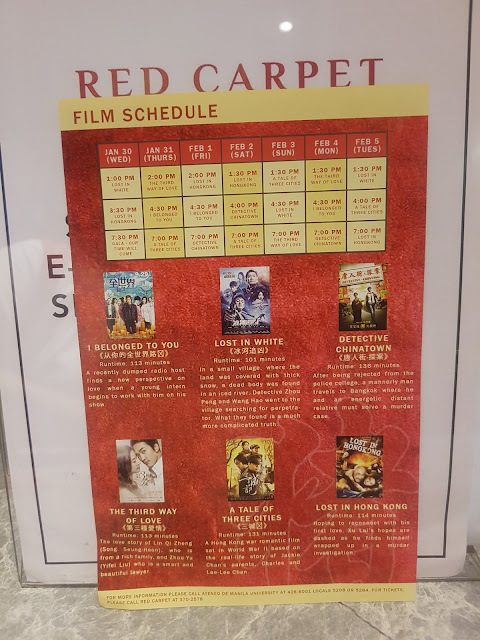 Thanks to The Red Carpet Cinema at Edsa Shangri-La Plaza because I was able to watch three consecutive movies for FREE at the 13th Spring Film Festival. Spring Film Festival is one of the most celebrated festivals in the Filipino-Chinese community. 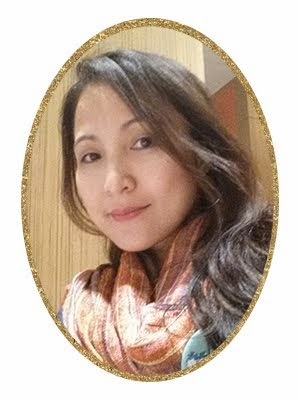 It will run from January 30, 2019, to February 5, 2019, featuring seven full-length films, with more films about love, family, culture, and community promoting Chinese culture and language to the Philippine community. Among the 7 featured movies, namely The Third Way of Love, Lost in Space, Detective Chinatown, I Belonged to You, A Tale of Three Cities, and Lost in Hong Kong, I watched The Third Way of Love, I Belonged to You and A Tale of Three Cities. The second movie is I Belonged to You, with the same running time of 113 minutes. I Belonged to You is a story that revolves around two radio disc jockeys and the world they inhabit. They find that their audience reflects their own love and heartbreak, and forces them to deal with issues larger than just their own lives. The story is based on the bestselling series of short stories by renowned Chinese writer Zhang Jiajia and is directed by Zhang Yibai. This movie did not catch my attention so I was mostly taking a nap 😀. The last movie is definitely my favorite! A Tale of Three Cities, Runtime: 131minutes, is a timeless love story of the legendary Jackie Chan’s parents, A Tale of Three Cities follows through Charles and Lee-Lee Chan’s complicated love story from their meeting during the Second Sino-Japanese War and being separated during the Chinese Civil War to finally reuniting in HongKong leaving behind their respected children from previous marriages. After reuniting in Hong Kong, they gave birth to Jackie Chan and it took them 38 years to finally reunite with their other children. You still have 4 days to watch all 7 movies for FREE! Ano pang hinihitay nyo.